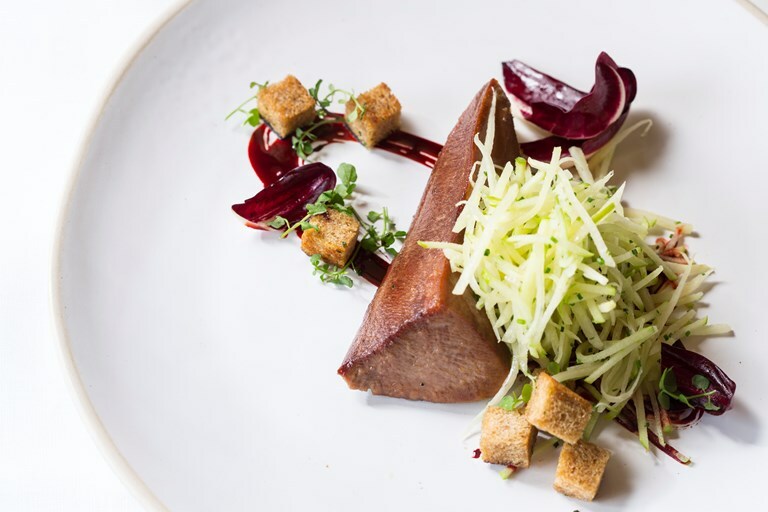 Ollie Moore creates a wonderful balance of flavour and texture with his delicate sous vide ox tongue recipe, pairing the robust meat with a fresh celeriac coleslaw. This balance is further enhanced with a sticky, sweet beetroot syrup and the savoury-salty bite of crisp Marmite bread croutons. Although the long preparation time for the tongue may appear daunting, brining and cooking slowly in a water bath will ensure perfectly tender meat.